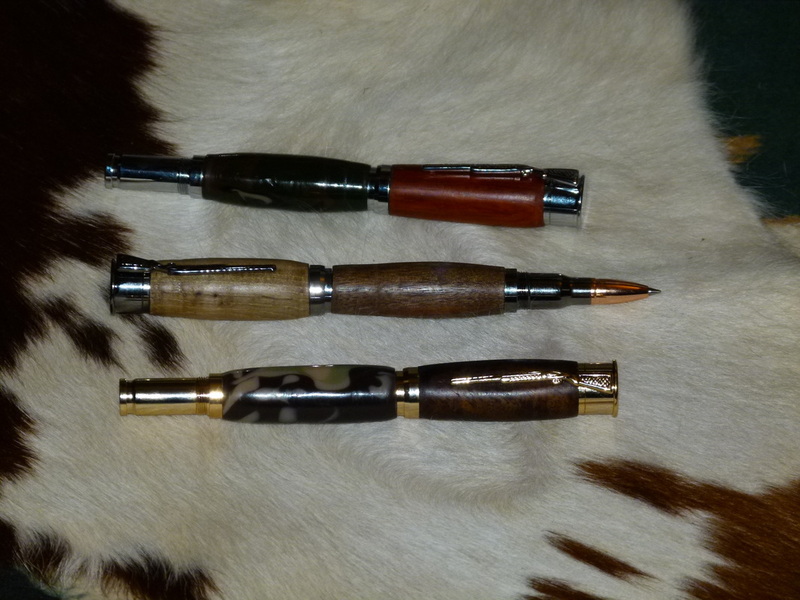 See more pens in "Custom Pens," including fountain pens and slimline pen and pencil sets, many made from native wood. All pens are working pens--they write. Refills are either Cross or Parker type, which are widely available. Email us for availability. The complete weapons-related collection. For descriptions and pricing see individual images below. Replica of Winchester lever action rifle. Walnut. 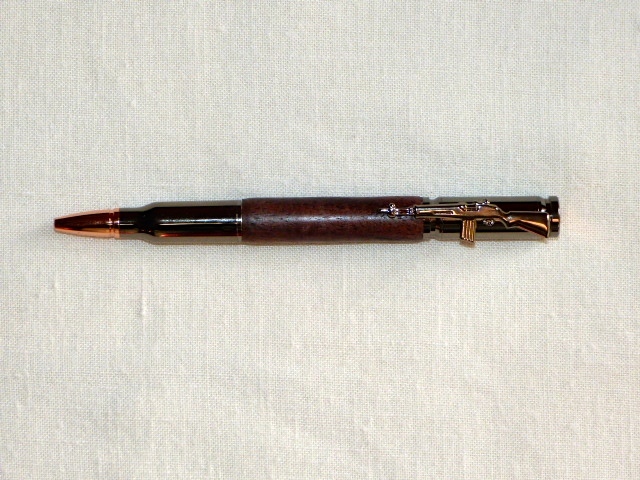 Lever on engraved tube extends and retracts pen point. $40 each. 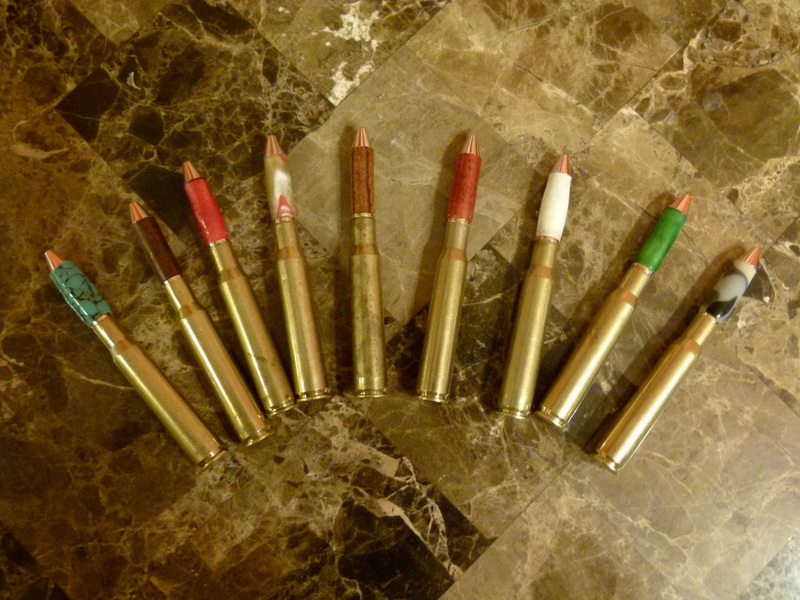 Mini pens (3.75") made from 30.06 shell casings. $15. For the shotgun enthusiast. 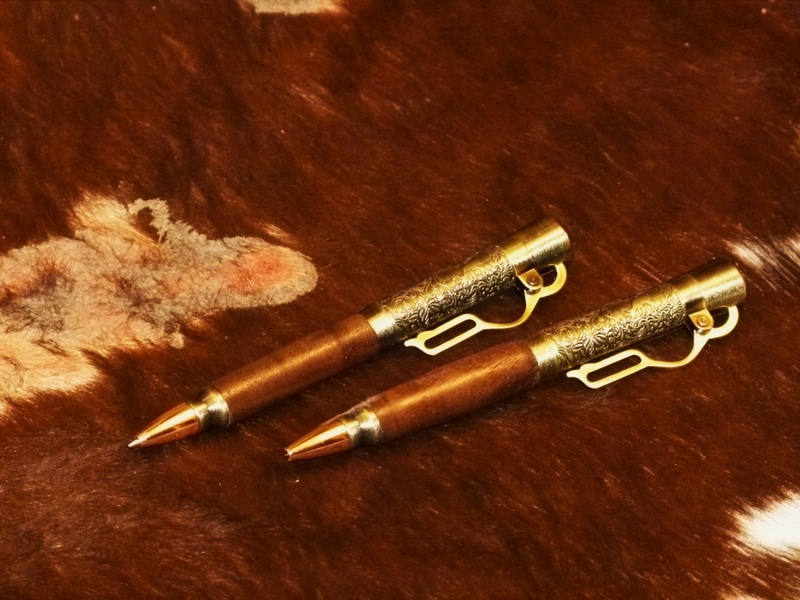 The cap of the pen is a replica of a shotgun shell with an over and under replica pocket clip done in natural wood or camo. $50 each. ON SALE FOR $30 EACH. 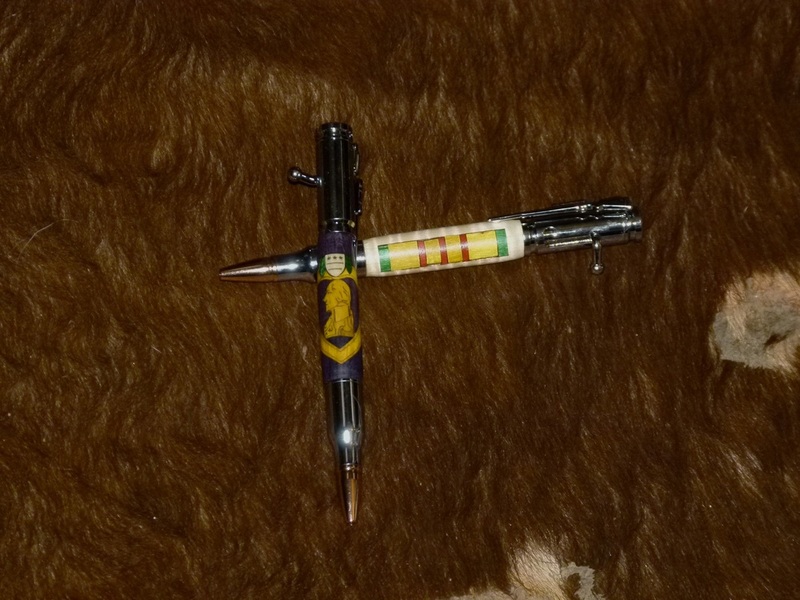 1911 Colt .45 replica pen with slide action to activate pen through bullet point. Available in copper or brass. $40 each. 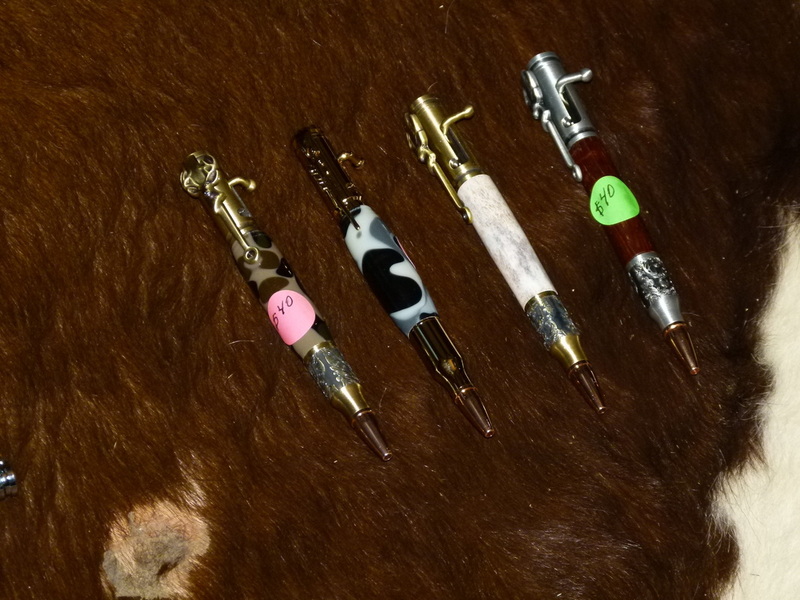 Hunters' pens, done in antler, native wood, and camo. 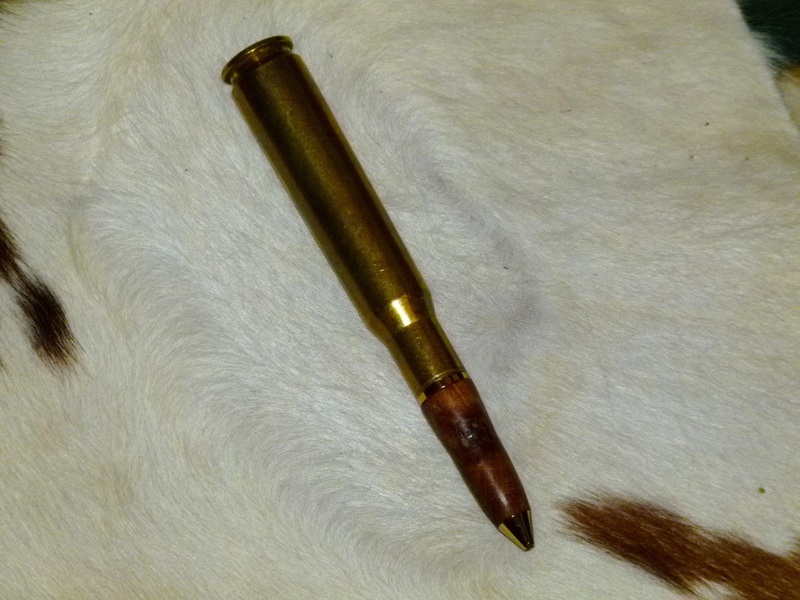 Bolt action, 30.06 copper-jacketed tip. $40 each. 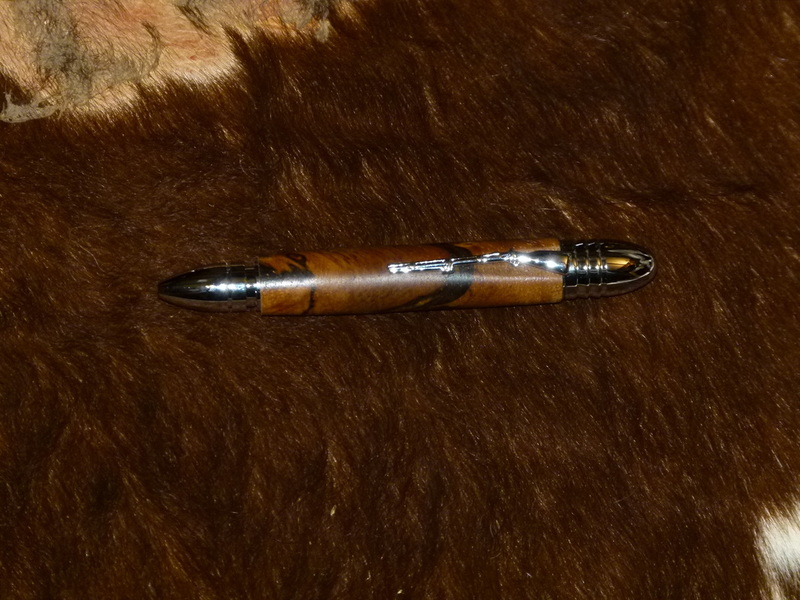 Cigar-shaped Civil War pen, reminiscent of Generals Lee and Grant. Clip replica of musket with a mini-ball tip. For the real Civil War enthusiast. Made from native wood. $30. 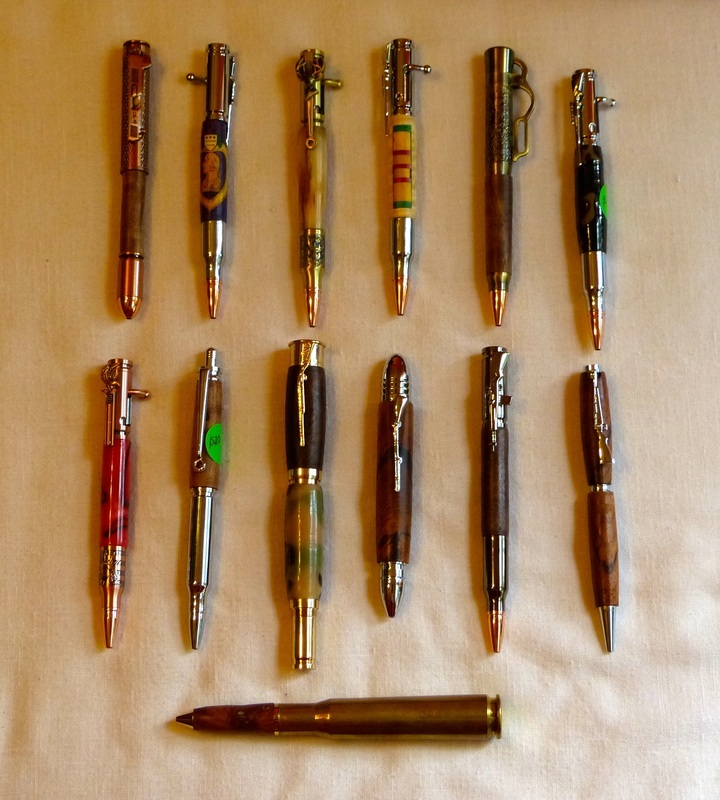 Patriotic Statue of Liberty pens. .30 Cal bolt action. Available in red or blue acrylic and American black walnut. $40. 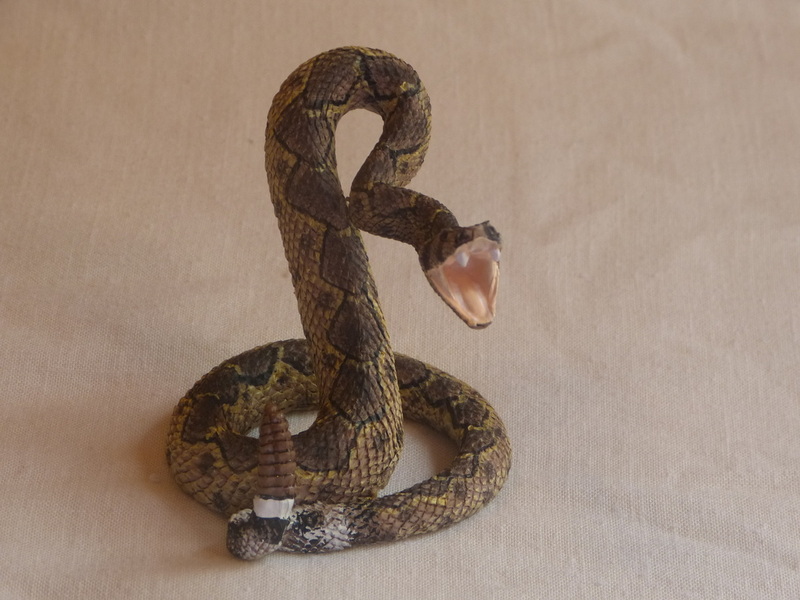 The snake is fake, but certainly looks realistic. 3" diameter by 3.5" tall. He's for sale too--$50.